Small business owners looking for advertising and marketing ideas need look no further than their typical day's mail, television programs or Internet surfing. Advertising and marketing ideas are all around. Knowing your customers and where they like to read, communicate and share ideas is the key to generating good advertising and marketing ideas. The key to all successful promotional programs is understanding your customers. The customer's likes and dislikes, shopping and buying habits should drive all marketing decisions. The best companies understand, recognize and use this information. Those with successful marketing programs take time to learn all they can about their customers and generate creative ideas for advertising and marketing campaigns based on their customer's preferences. The first thing to understand is that the words 'advertising' and 'marketing' are not synonymous. Many people use them interchangeably, but technically speaking, advertising refers to a specific promotional activity where a company shares product or brand information with a mass audience through general advertising. Marketing is the art and science of product generation, pricing products so that they sell, and promoting the products. Advertising is one subset of promoting products. If you have a customer database, consider investing in a program or a consultant to analyze the customer data on your file and developing an ideal customer profile based on existing data. Such data is invaluable to make decisions for advertising programs. Such a small local shop should leave a notebook out on the counter and invite customers to sign up for the mailing and email list. Simple programs such as Vertical Response and Constant Contact offer an affordable way to conduct email marketing for small business; postcard marketing offers a quick, affordable and easily produced method of direct mail. No matter what the size of your business or the products and services you sell, a marketing plan is a very useful tool. Such a plan guides you and your employees through the seasons of the year in the marketing activities to undertake each month. Inserts: you can print flyers and pay magazines to insert them into the shrink wrap or inside the magazines. Contact the magazine's advertising department for information and availability. Now go back to your customer profiles and list of characteristics of your customers. 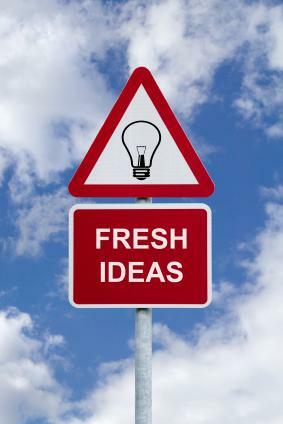 Using your list, look at the list of marketing ideas. As you figure out which ones to try, make sure the target audience matches your customer profile. For example, look at the demographics information found in the advertising packets newspapers, magazines, and radio stations share with potential advertisers about their audience members. If the demographics match or are at least close, consider adding this to your marketing and advertising tactics. How will you know if they work? If you use any direct marketing method such as email marketing or direct mail, you can track and measure the response. Other methods may yield responses in terms of increased foot traffic to your store, visitors to your website, and sales.